Possibly the best service of all hotels I’ve visited, anywhere. Ready to serve always, inviting, helpful in gathering travel info, supportive with my needs. And so giving. Had a beautiful New Year’s Eve dinner with the hotel staff as I was traveling alone. And the room of course was really nice. Made up each day, bathroomed cleaned, even a bathtub - took my first bath in six months rather than shower - so nice. The staff at this hotel make a great role model for service, aside from the service it was all done with a warm family-like feel. Checked in on New years eve, and was invited to the staff party, The staff were very polite and friendly especially Moe Moe. They made be feel, like one of the family..Excellent!!! I have stayed a few times of this hotel and this time, I find that wifi was not so consistent and with some stress. I would like the hotel to look into the fastest internet facility available in the market to upgrade. There is no complain except wifi, of which speed can be improved. I understand that now in Myanmar, there should be higher speed of wifi facility, so, the hotel should look into introducing the same. Although the breakfast is not buffet but a la cart, it is good to have local breakfast.All the staff are very helpful, kind with a full of smile. 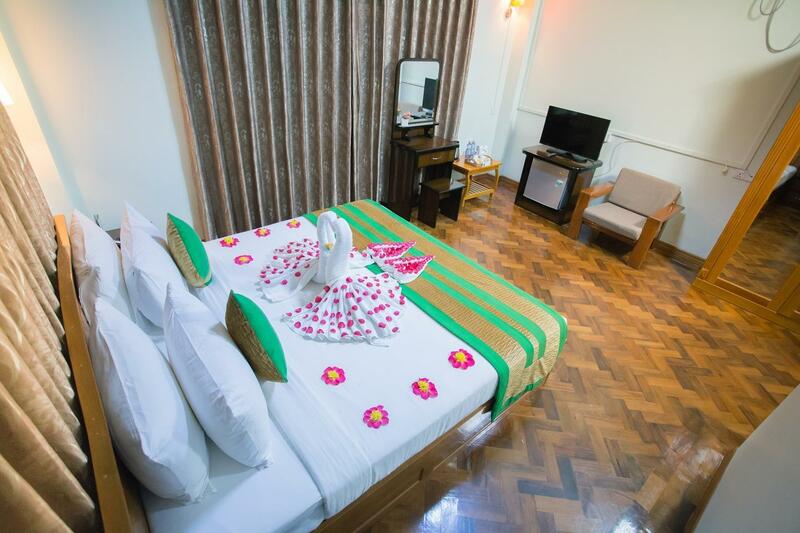 Very convenient to Inya Lake. The hotel was clean, well set up and the staff very helpful. Very well trained staff welcoming and caring. 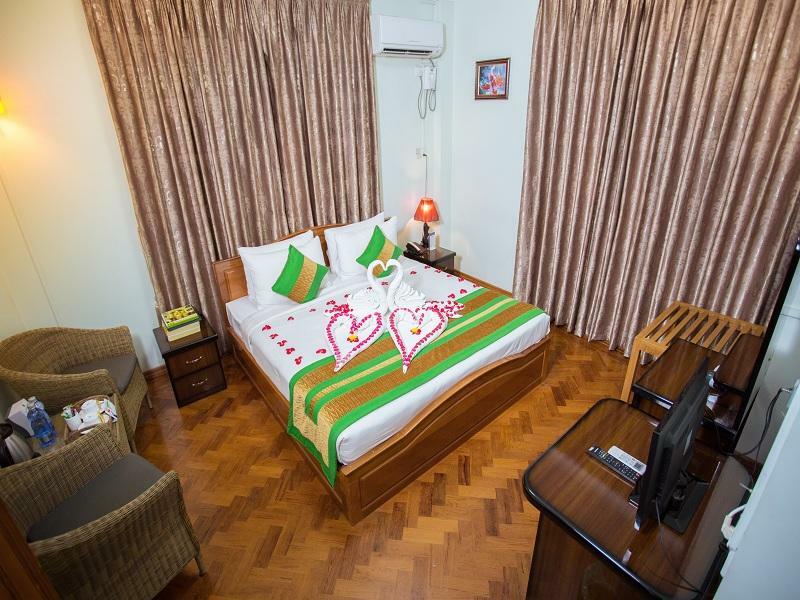 neat and tidy rooms with excellent house keeping. Very good value for money and living in the care of very caring and hospitable team. Highly recommended for you to stay. A jewel made to look all the better for its miserable competition. Wonderful staff....good size rooms....a converted house so the rooms can be a little noisy if other guests are noisy . Given that Yangon has some of the most overrated overpriced hotels in Asia , this is a charming small gem. 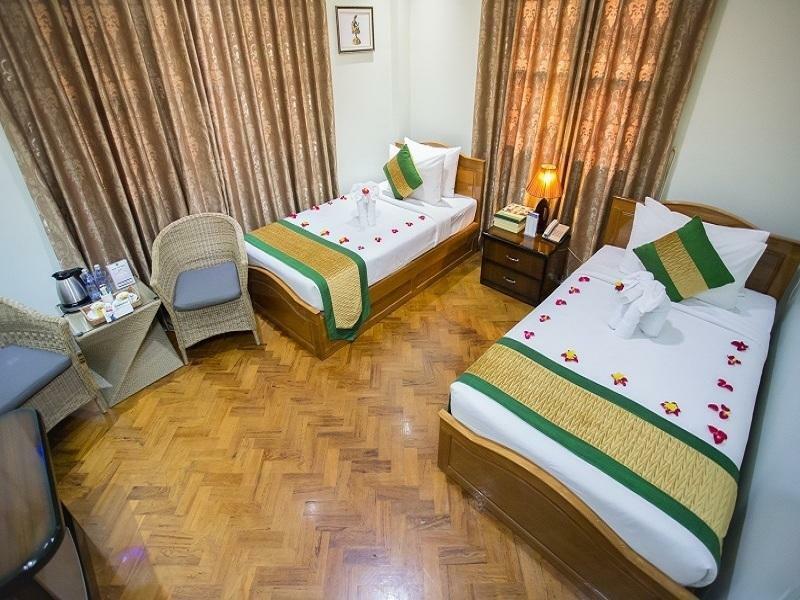 The staff struggle with their English but that is normal for Myanmar....good rooms at a reasonable price. The staff is very well trained and quality of service is good. You have some choices of breakfast (not buffet) and it is good to have some local taste (I always prefer local breakfast). The quality of cleanliness of the lobby, room, stairs, etc. is very good. The location wise, it is far from down town. From the hotel to airport, it costs about Kyat3,000.- to Kyat3,500.-. The breakfast is good with the volume as well as the assortment with the local taste. The wifi is o.k., although it is not so fast (compared with other hotel of this class, it is good). The room is well cleaned, however, the road construction work is on behind the hotel, so, it is noisy during working hours. The staff is very courteous and efficient. The location is not good for my business appointments in city center due to the traffic jam at Yangon. The staff were incredibly helpful and welcoming. 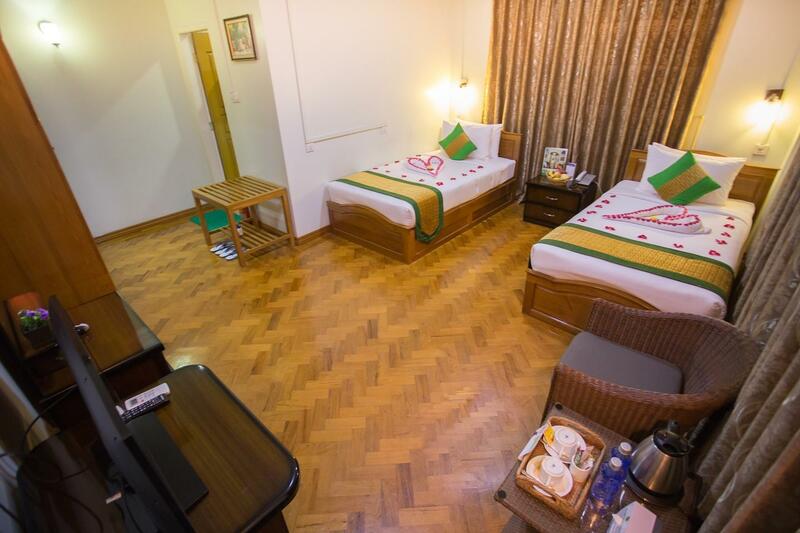 The rooms were spotless, spacious, comfortable and very well presented. The hotel was quiet and provided a delicious breakfast. We loved staying at this hotel, so much so we have stayed more than once. This was a fantastic find for my first, but not last, trip to Yangon. Breakfast is huge and staff couldn't be better. The only drawback for me is how far it is from downtown. Spotless establishment. Friendly and helpful staff. Quite street near shops and gem stores. Totally recommend this hotel. Definate value for money. Spotless and very comfortable. Staff smiling anf helpful.